Operation Greif was a special false flag operation commanded by the notorious Waffen-SS commando Otto Skorzeny during the Battle of the Bulge. 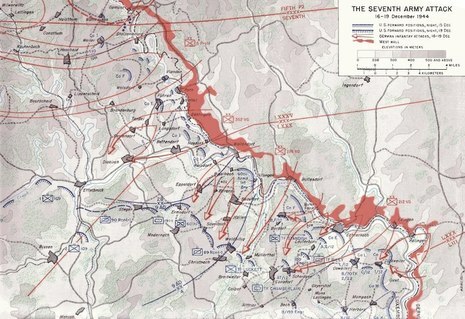 The operation was the brainchild of Adolf Hitler, and its purpose was to capture one or more of the bridges over the Meuse river before they could be destroyed. German soldiers in captured US Army uniforms and using some US vehicles were to cause confusion in the rear of the Allied lines. 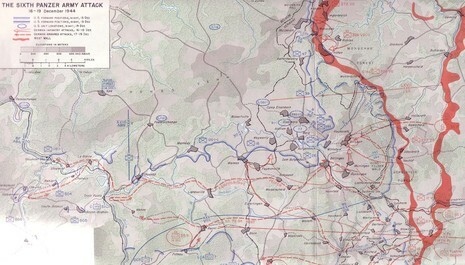 A lack of vehicles, uniforms and equipment limited the operation and it never achieved its original aim of securing the Meuse bridges. Skorzeny had become one of Hitler's favorites following the success of "Operation Eisenfaust" in which he had supervised the kidnapping of Miklós Horthy, Jr., the son of Hungary's Regent, Admiral Miklós Horthy to force Horthy's resignation. Following his return to Germany, Skorzeny was summoned to meet Hitler at his headquarters at Rastenburg (Ketrzyn) in East Prussia on 22 October 1944. 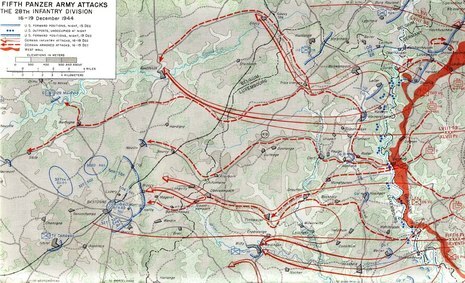 After congratulating Skorzeny and announcing that he had been promoted to Obersturmbannführer, Hitler outlined the planned Ardennes Offensive and the role he was to play in it.